Ecological stream management is the process of altering a stream ecosystem to either preserve current conditions, or change one or more components of the stream ecosystem to obtain a desired outcome. 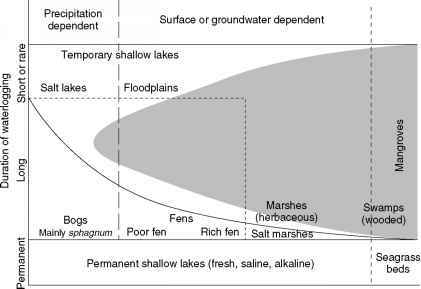 The management of larger streams and rivers differs from that of smaller streams due to the physical and ecological properties associated with an increase in scale (Table 1). Humans have been altering streams since at least 6000 BC when Mesopotamians began agricultural irrigation. Since then, actions such as waste disposal, channel modification, flow alterations, removal of riparian vegetation, and species introductions have degraded many stream ecosystems worldwide to a point that has significantly affected stream ecosystem integrity. Structural and functional modifications include the altera tion of energy flow and nutrient cycling efficiency (ecosystem function), the reduction of native species abun dances and increased species introductions (ecosystem structure), and the degradation of water quality and quan tity. Many streams are presently in need of intervention to maintain or restore their ecological integrity. Several approaches (such as conservation, preservation, adaptive management, and environmental engineering) have been used to accomplish this task. A newer approach to ecolo gical stream management, ecological engineering, is a strategy that relies on both engineering and ecological theory to reach management goals.